Inspired by nature and designed for living, you'll find Karndean floors are beautifully realistic and highly practical.By offering a wide and impressive range of designs, finishes and formats, you can create a floor that's unique to your project and guaranteed to last for years to come. We have many years of experience fitting Karndean flooring to customers in Bideford, Barnstaple, Exeter and across Devon. Karndean find the inspiration for design flooring in the beauty of the natural world and feel passionate about bringing this into every product Karndean create. From the intricate grain details in real woods to the timeless tactile qualities of natural stones, Karndean have used the latest technology to bring you floors that are the ultimate in style and give you exceptionally high performance and quality. 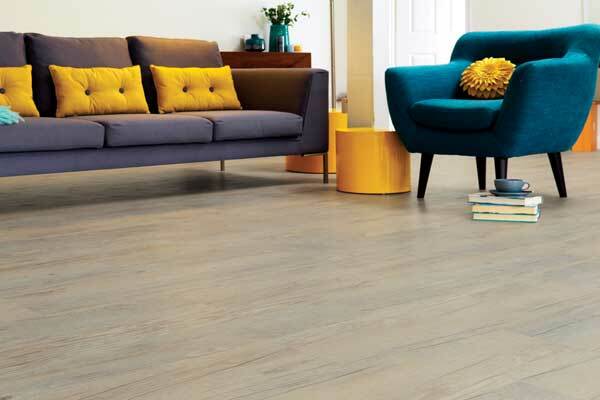 What’s more, Karndean have already chosen the best colours, formats and design components for each of our ranges, meaning it’s easy to create the perfect design floor for your home. S&G Carpets regularly provide Karndean Flooring Services to clients across Devon and North Cornwall, includng Torrington, Bideford, Barnstaple, South Molton, Bude, Tiverton and Exeter. To arrange a free visit to your business, call us on 01805 623112 or fill out our enquiry form. We’ll come to you to measure up and provide estimates, we’ll also bring samples with us. If required, we provide an out-of-hours services to reduce commercial downtime.